Are you afraid of uploading your files to cloud services like DropBox and Google Drive? do you want to host your own files DropBox style? if that’s the reason you are reading this article then be glad to hear that you can! and it’s not that hard to do, you don’t need to be a tech guru neither, just need to read this article and follow the instructions. First of all, what is the reason you want to build your own private cloud? is it privacy? cost? adventure? I think is good to be clear why you want to host your own files instead of using a free or paid service like Dropbox, Google Drive or OneDrive, etc. the primary reason I host my own files is convenience, privacy, and storage. with DropBox you only get 2GB of storage, with Google Drive you get more, and Microsoft I think they just recently scaled down their OneDrive free storage capacity to 5GB.. is not the first time one of these popular services shuts down their servers without much warning either, and leave their customers in the dark, so having your own cloud server gives you a little bit of more confidence. 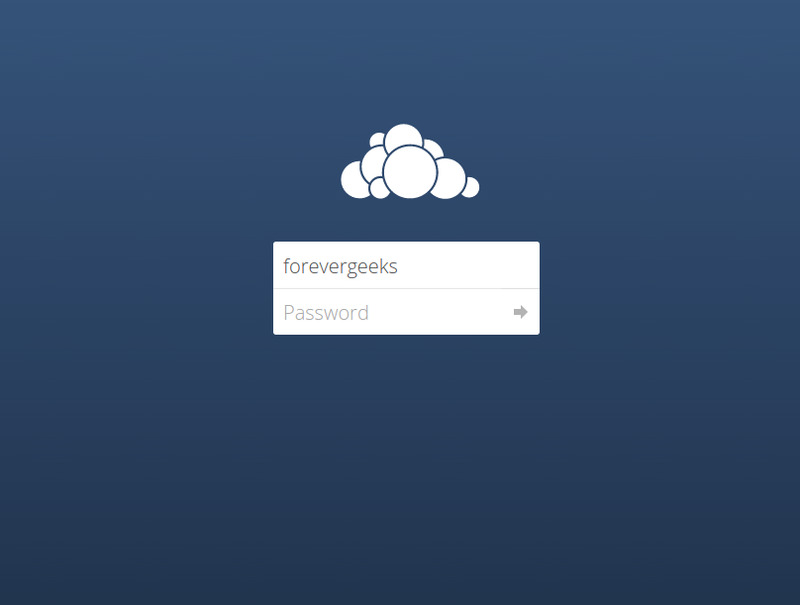 The quickest and easiest way to create your own DropBox style cloud nowadays is ownCloud. ownCloud is becoming mainstream because the developers make it easier and easier to set up in every release. I remember when I set it up the first time around release 3, it wasn’t as easy. why ownCloud is popular also is that it can be installed in any hosting service, not just in a private server. I would rather install it in my own private server, but if you don’t want to spend much, a normal shared hosting account should do it too. I am currently using linode.com to host my ownCloud server using the $20 plan. that plan gives you 48 GB of SSD storage with 2GB of ram. I host multiple websites on this server, including this blog as well. I am not a packrat, so my storage need is not that much. if you need unlimited storage, probably signing up for a shared hosting service could be a good idea, but keep in mind that if you store copyrighted stuff in your ownCloud server they can terminate your account. External storage support. if you have multiple online storage account you can consolidate them using this feature in ownCloud. it supports NAS, FTP, Samba shares, Dropbox, Swift, Google Drive, and WebDAV storage. Encryption. if you use a shared hosting account this feature might be good. Versioning, and Undelete. if you overwrite or delete a file by mistake, you can recover it using this feature. Activities. you always know what is going with your files. Galleries. Keep your photos looking good. Document live editing. if you collaborate with people with some documents, you will love this feature. In the next post I will show you how to set up ownCloud on your server – the easy way.